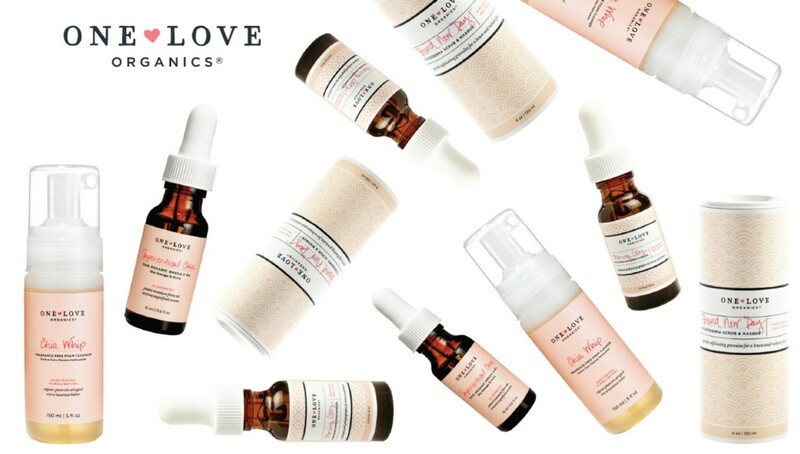 One Love Organics has been one of our most loved brands since the beginning of our clean beauty journey. It’s always at the top of our list of suggested brands to check out when we’re asked about the best organic lines. The packaging is beautiful, the products are made without toxic chemicals in eco-friendly packaging, and the formulas are pure MAGIC. Our skin just can’t get enough of the tropical scented balms, serums and scrubs. 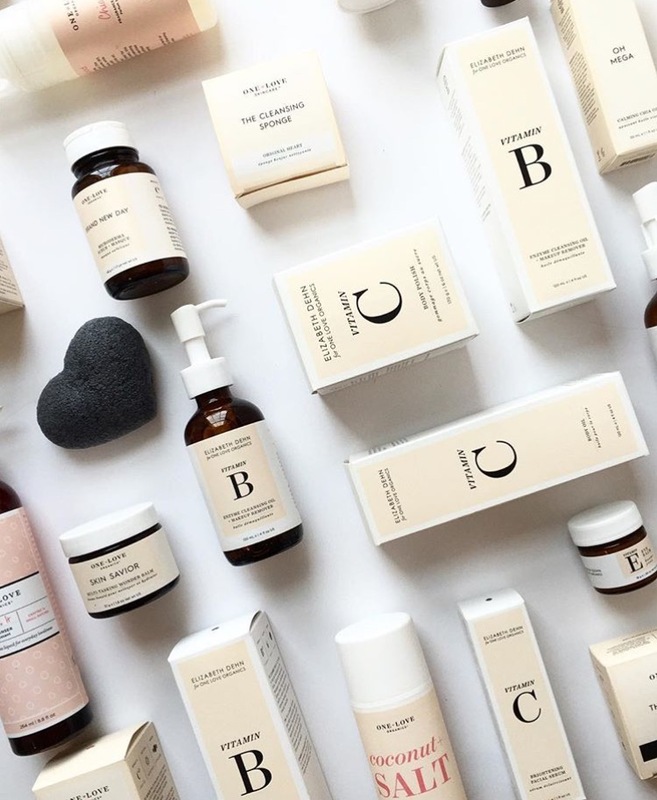 Here, Suzanne LeRoux founder of One Love Organics shares how she started the award winning company, her daily beauty routine (we copied it immediately) and the poem that gets her through the unavoidable tough days. Describe your journey, how did you take the leap to start One Love Organics? I have always believed in the power of a well-executed beauty ritual. During college and law school I relied on exquisite self-care to keep my sanity in tact. 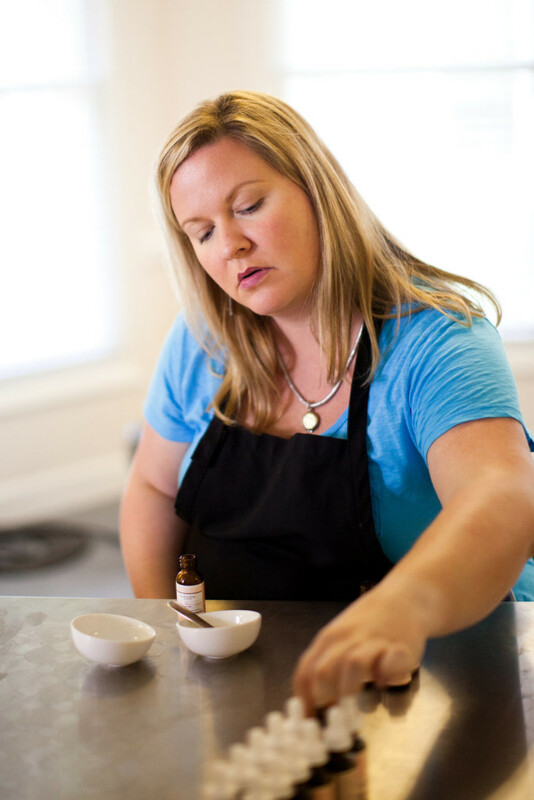 When I went on to practice law full-time, I embarked on a formal studies program in aromatherapy, integrative herbology, holistic nutrition and cosmetic chemistry. It was from these studies that One Love Organics was born. This company really is the culmination of my true passions. What was the scariest part of venturing into entrepreneurship and the proudest moment since you started your brand? When we first began One Love Organics, we started—as most people do—by searching for a lab. 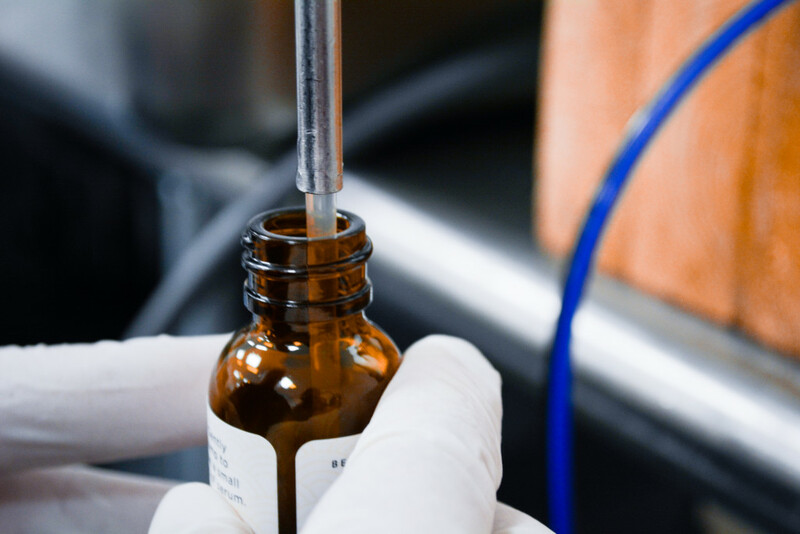 We met with a lab and began the formulation process. Almost immediately, the lab began substituting less expensive and less effective ingredients. We also found they lowered the percentage of active ingredients in order to lower the cost of manufacturing. We were passionate about our formulas and wanted to ensure we delivered superior quality. So, we took the wise advice and decided to make our products ourselves! It took a full year to learn how to best manufacture and preserve the integrity of our products. But what seemed like a daunting (and scary!) task in the beginning has proven to be our smartest business decision. We are not dependent upon the business acumen of a third-party lab. We can ensure that each batch meets our very high expectations. And we have created much-needed jobs in our local community. We also recently earned the license to manufacture natural and organic cosmetics under ECOCERT ® standards. One Love Organics now owns the only ECOCERT® licensed manufacturing facility for natural and organic cosmetics in the state of Georgia and is 1 of only 10 facilities licensed in the United States. I am very proud that we have achieved such distinguishing milestone for our manufacturing facility and brand. I absolutely adore the green beauty community and our industry! I have found it to be a supportive, deeply caring and highly-educated group who is committed to influencing and changing the beauty industry for the better. We are all working toward building our brands at the same time focusing on a common goal of green beauty acceptance and industry transformation. 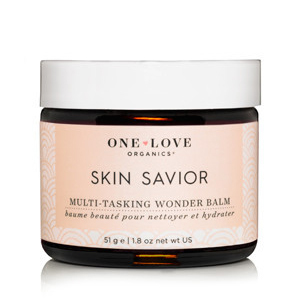 Skin Savior Multi-tasking Wonder Balm is a best-seller year over year and it is the one product my entire family reaches for again and again. It is really something special. Every morning I massage a small amount of Easy Does It Foaming Cleanser for about one minute into my skin using our Cleansing Sponge and then I rinse thoroughly and hang my sponge to dry. For toning and firming, I apply a small amount of Morning Glory Caffeinated Firming Serum to my face. Then, to moisturize, I use 3-5 drops of our antioxidant rich Vitamin C Facial Serum on my fingertips and gently massage it into my skin. To help me brighten and de-puff my eyes I rely on Vitamin E Eye Balm, but only sparingly. I then brush on some mineral foundation, use a bit of eyeliner and swipe on some lip color and I’m out the door. I always end each day with a thorough double cleanse because it is the most effective way to prep skin to receive the benefits of a serum, treatment product or facial oil. I pre-cleanse at night by massaging a small scoop of Skin Savior Balm onto dry skin for about two minutes, and then use a warm, damp washcloth to gently remove the excess. I turn to Easy Does It Foaming Cleanser again for cleansing and follow up with 3-5 drops of Love Springs Eternal Youth Preservation Facial Oil. Finally, I press a liberal amount of Vitamin E Eye Balm around my eye and brow area, and then over my lips. I also live by our dry shampoo, Healthy Locks Dry Shampoo and used it for two years before we released it to our customers. I put it on my hair before bed to absorb oil overnight. The next morning I was up with great second or third day hair. Sometimes I will use it during the day to refresh and add volume. I love it. Taking care of myself helps me to feel beautiful. I find that when I eat foods that support my body, get enough rest and play and take care of my skin and hair, I feel more confident and have a spring in my step. In other words, I feel beautiful when I feel loved and it starts with me taking the time to do things to care for myself on a daily basis. Then I feel confident and willing to share that love with others to create a beautiful cycle of self-care and love. In my younger days, my routine was focused on makeup and immediate results. Bronzers, highlighters, mascaras, the right lipstick. Those were key for me. I spent the most time and money on these products. My skin didn’t look that great, of course, and nothing I had ever tried worked to clear up my skin. I had not discovered natural and organic products at this point yet. I was focused on the superficial, too, and had no idea that the right products and holistic approach would create clear, glowing skin … and that I would no longer need to wear bronzers, highlighters or mascaras. My approach now is skin-care based, not make-up based. But I do use and love mineral foundation, eyeliner and I have both a great pink and a great red lipstick to help give my face a pop of color. Yes, believe in yourself and be your own biggest supporter. And then let go of the fear, put yourself out there and let it happen. There will be ups and downs-no one is on a straight up trajectory so take it all with interest and learn from each experience. My husband shared with me the poem “If” by Rudyard Kipling and it has really saved my sanity working a startup business over the past seven years. We have some really exciting news that is going to be announced soon that will positively influence our new releases and what is coming up next for OLO! One Love Organics Skin Savior Waterless Balm was featured in the March Clean Beauty Box, WANDERLUST. Learn more about our monthly boxes HERE.